"My husband bought me the book Real Love in Marriage and gave it to me the Christmas I had already decided to leave him. We began to talk, and now we’re happier than we ever thought possible. We’ve renewed our vows, and now I want to be with him forever." Why do more than half of all marriages end in divorce? And why is there so much unhappiness in the marriages that survive? 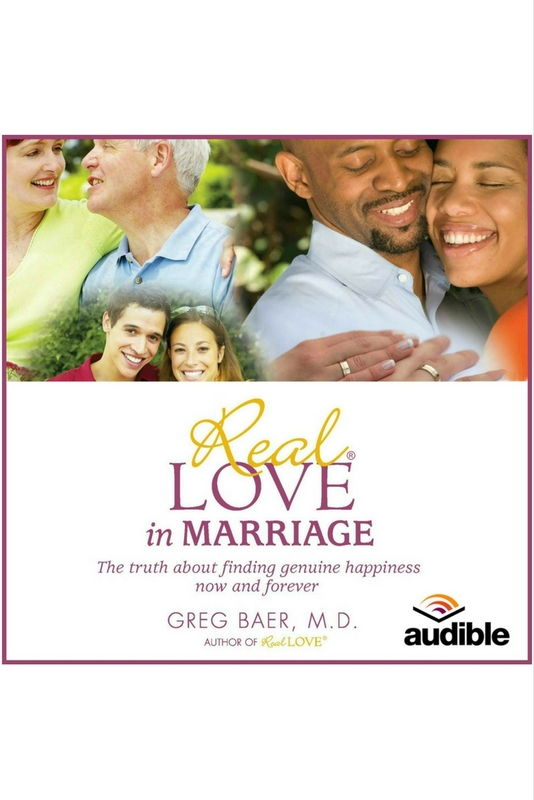 Greg Baer offers the solutions for a long-lasting marriage in his anticipated follow-up to Real Love: The Truth About Finding Unconditional Love and Fulfilling Relationships. There are no quick solutions to fixing a marriage. With Greg Baer as your guide, you can begin to heal the wounds of the past and cultivate the lifelong commitment to stay with your partner while learning how to unconditionally love him or her. Real Love in Marriage is also available for the Amazon Kindle here.